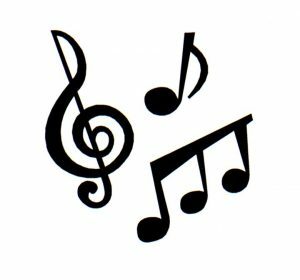 Posted January 23rd, 2016 by Mobile Music School & filed under Music Lessons, Violin Lessons. Our students in Rush and Lusk ETNS are progressing week on week with the help of their tutor, Rebecca, who is teaching ‘Violin in the Classroom’ to 2nd, 3rd, 4th, 5th and 6th class. Since this programme commenced, our pupils have been immediately immersed into the music-making process. We are glad to see that both 2nd classes are still as enthusiastic about the violin as they were when they first started. The students are learning word and hand signs to open string songs, and then pluck it on the violin. A favourite class activity for them is to play solo parts of the song for their classmates! 3rd class are really focusing on developing their bowing skills. They mastered the D major scale before Christmas and are now able to learn a whole range of new songs with their knowledge of all of the notes in the D major scale. 4th class are also doing brilliantly and are working hard on developing their technical skills and musical abilities as violinists. Not only are they focused and attentive in class, but they are also showing great dedication by practicing hard at home too. Students successfully completed Jingle Bells before Christmas along with the plucking and bowing. The 5th and 6th class groups were delighted to show off their skills by playing Jingle Bells and the Flintstones Theme, with the bow and at a fast tempo, for the younger classes on the final week before Christmas- they sounded great! After weeks of developing their musical awareness and self-esteem, we can really see the students’ confidence growing as musicians and creative thinkers when they perform.